In the sultry Costa Rican jungles, their worlds collide. As their passion and desire ignite, so does the ancient war between demons and seers. Will their combined efforts be enough to save themselves and the entire human world, or will their newfound love be their downfall? 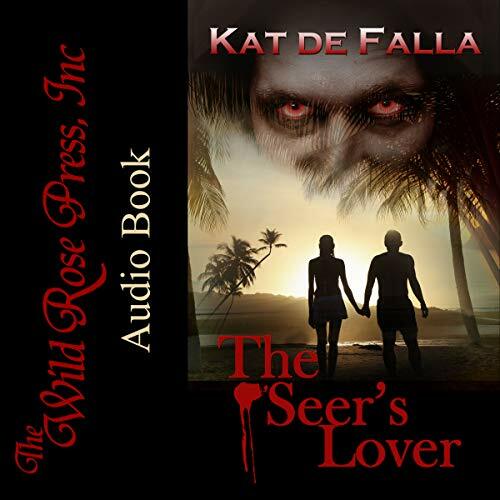 Listen to music for The Seer's Lover at Kat de Falla's website. This is an interesting one. Kinda more dark than I had initially thought. Good characters and overall an Okay story. Great performance tho. I got this story via audiobook boom and this is my voluntary review. This story was scary good. The battle between angels and demons is portrayed with the people who can see behind the glamor and recognize a demon as a demon caught up in the middle. The entire story is scary all the way through. There were some light moments but overall it was a dark and powerful story. I had to stop listening to it several times then go back and finish listening. I am not a fan of horror stories and this one was not exactly horror but very close to it. The narrator was good and brought out the emotions included in the story. Unfortunately the narrator ruined it for me. She did not suit this audiobook at all. The book is more darker then I expected but that is not a bad thing. I like to be surprised and proven wrong about books. Others might like it more then I did. This was actually a pretty good book. I thought it blended the horror/paranormal elements well into the story. I was very engaged throughout the story and really enjoyed the experience. I thought the narrator did a pretty good job. She had an engaging voice and put plenty of emotion and character into her voices. All in all, I would definitely recommend this book to anyone who likes this sort of genre. I enjoyed the story and the narration. I am a voice actor/narrator myself. I do not know the author or narrator personally. I point that out because I want you to know I am unbiased when I mention something about the "Amazon Customer" who gave a bad review of the narrator. The reviewer is entitled to his/her opinion, but if you don't like a narrator, don't purchase the book! The sample is long enough to let you know if you would enjoy listening to the narrator. I just looked at that Amazon Customer's reviews. There are 8 negative reviews for narrators out of 10?! Why is he/she not listening to the samples? Or does that reviewer have something to gain by giving negative reviews to hard working narrators? I think there's something nefarious going on here. I'm trying to finish this book because I like the storyline BUT this is one of the worst narrators I've ever heard. Just awful performance.